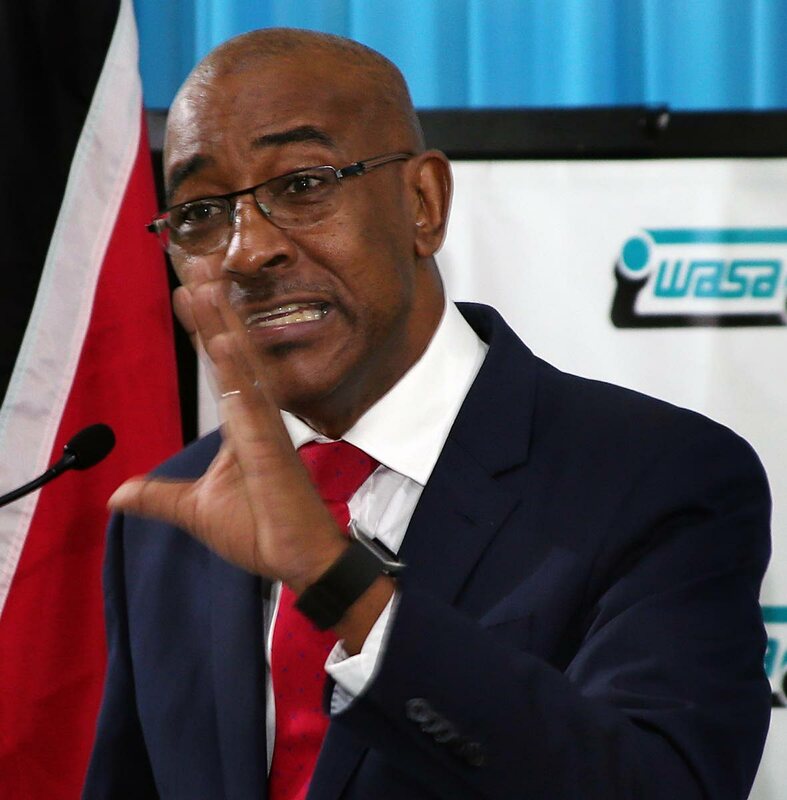 WHILE acknowledging that the population should benefit from the country’s oil and gas resources, Public Utilities Minister Robert Le Hunte has reiterated the need for electricity conservation, saying the country can save over $100 million over a three-year period. “The whole message is, conservation is a win/win situation, and if people reduce their consumption we benefit. In some cases, based on how people utilize electricity, we might be able to reduce more than 15 per cent,” he said. Speaking to reporters at the commissioning of TTEC’s new aerial lift and crane trucks at the public lighting department, Gasparillo Bypass Road, Gasparillo last Friday, Le Hunte noted that TT’s current electricity rate is US 5.2 cents per kilowatt before tax, or one-sixth of what is paid in other Caribbean countries. “TT, by virtue of the fact that we are blessed with some natural gas – I think that is one of the benefits that you have as a country, and I feel that the country or the citizens should benefit to some extent from the fact that we are an oil-producing country and we do produce natural gas,” he said. “Whether that rate should be one-sixth, we need to work that and look at that. Again, I want to strongly emphasize that benefit. People need to understand that you are getting a benefit and that not because you are getting a benefit that it means you should waste it. You should practice all conservation measures,” he said. TTEC chairman Keith Sirju said the utility was owed $225 million, the bulk of which was owed by the business and government sectors. “Residential is a small portion of that, and this impacts on the cash flows of the organization and its ability to do things in a timely manner,” he said. “Some of the institutions (that are owing) are those where you can just take off the electricity as they serve the public. Some of the customers owing TTEC provide critical services to the country,” he said. On the new trucks, Le Hunte said 32 vehicles were bought at a cost of $33 million, of which 27 had already been delivered. He said 22 were outfitted with insulated telescopic aerial lifts and would position the utility to maintain its overhead line infrastructure. “It is a big expenditure and could have long-term benefits. It will help us to maintain the lines and prevent them from going down in the case of heavy rains,” he said. He said TTEC was also looking at ways to cut expenditure such as reducing the contracting out of services, restructuring and reducing its overtime bill. Reply to "Le Hunte: Conserve electrical power"